No cockpit: Roborace's Robocar will be programmed to drive itself. Roborace’s insanely gorgeous Robocar has a mission—to promote autonomous driving. It aspires to be so fascinating that people set aside any doubts they have about self-driving cars. But autonomous cars need to build technological credibility, too, so on Tuesday morning we learned about the silicon driving this car’s autonomous logic: Nvidia’s Drive PX 2 is a compact and powerful computer that’s ready to process the torrent of data a vehicle needs to move safely in the world. Even at this early stage—the body is still a work-in-progress—there’s a lot to say about this racecar. So let’s step through what we know and consider what the future may hold for Roborace’s vehicle. Nvidia’s Drive PX 2 platform offers scalable power for autonomous driving. 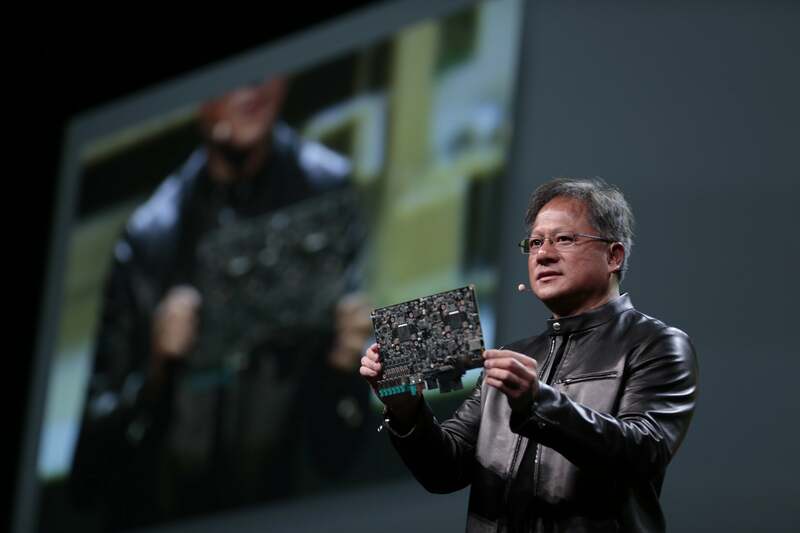 Nvidia is using its GPU heritage to move into new industries, including automotive. The Drive PX 2, which the company announced at CES in January, is a lunchbox-sized supercomputer with dual Tegra CPUs and dual Pascal GPUs. The Drive PX 2 can juggle input from cameras, radar, and other sensors, and help the car make sense of its environment in real time—you know, like humans can. Drive PX 2’s architecture is also scalable to match what the vehicle needs (and control costs). The DriveWorks development tool for programming the Drive PX 2 is still in beta, but it’s already being used by Roborace and a handful of other partners. When Nvidia CEO Jen-Hsun Huang revealed the Roborace partnership at the company’s GPU Technology Conference Tuesday morning, he also brandished one of the Drive PX 2 modules that goes inside the car, which included two enticingly unannounced Pascal GPUs. Heaven forbid that Nvidia ever stop making graphics cards, but its snazziest technologies are going into innovations like Drive PX 2 before they ever hit a gaming rig. Any talk of high-performance chips inevitably turns to thermals. 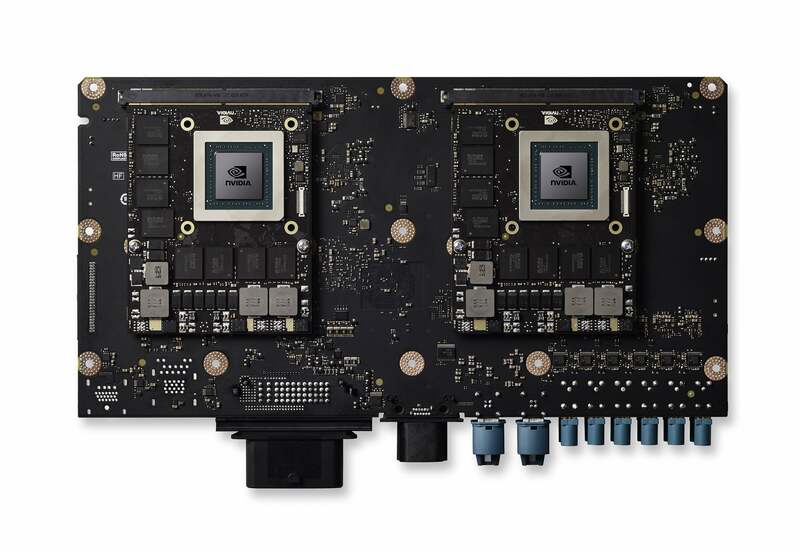 Nvidia’s Dan Shapiro, speaking after the keynote, said Drive PX 2 is designed to be air-cooled and water-cooled. In the Roborace car, Shapiro added, Drive PX 2 also takes advantage of the cooling system for the car’s battery. At Nvidia GTC, CEO Jen-Hsun Huang held up a Drive PX 2 supercomputer for autonomous driving. 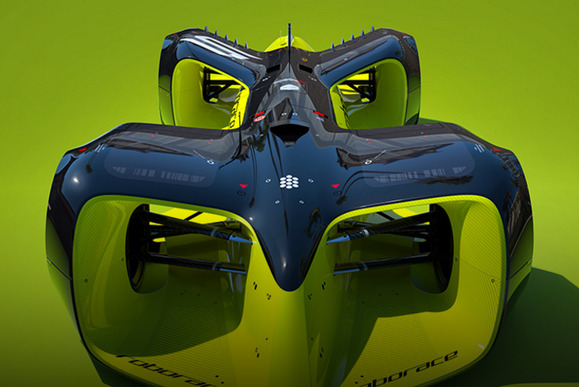 Roborace is the brainchild of Kinetik, an investment company founded by entrepreneur Denis Sverdlov. The company developed the car and is also developing the race series intended to prove the mettle of autonomous driving. The competition, also called Roborace, will pit a small fleet of these cars against each other on the same courses used by the Formula E Championship, a three-years-young series for human-driven electric racecars (the Roborace car is also electric). Roborace hasn’t committed to any race dates yet. “The goal,” said Sverdlov, “is to show that autonomous cars belong on public roads, so people will accept it.” Google’s autonomous cars are already on public roads, of course, but it’s no stretch to say that those toy-like vehicles are not as awe-inspiring as the Robocar. 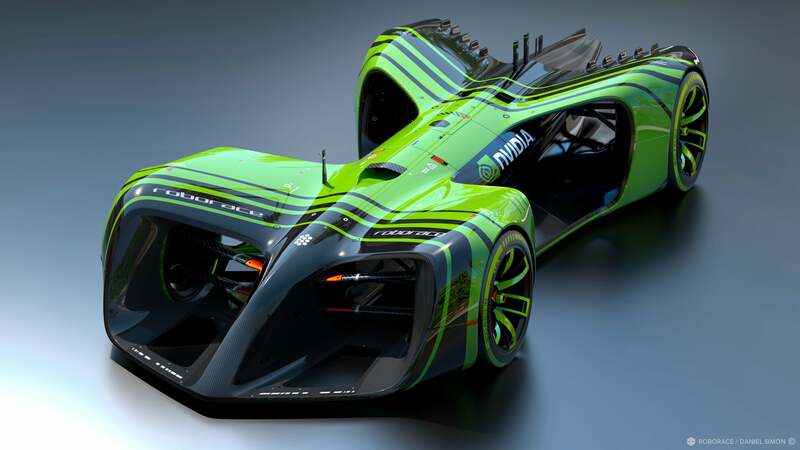 Ten Roborace teams, which will be chosen through a qualification process, will be equipped with two identical cars that they can program using Nvidia’s Driveworks development tool. While piles of cash play a key role in high-end motorsports, Roborace teams won’t have to pay for the cars, leaving more resources for programming. “Roborace is a competition of intelligence, not budget,” said Sverdlov. Yes, it’s a relatively big, heavy car, especially considering its dimensions don’t have to accommodate a living, breathing driver. “It’s going to be a challenge for the teams,” Sverdlov acknowledged, noting that most of the weight is in batteries. It’s also very low-slung—just 18 inches high in front, and 20 inches in back. “We want to guide a lot of air through the car and also a lot of downforce over the top,” said Roborace’s chief design officer, Daniel Simon. There's no cockpit in Nvidia's autonomous racecar because no one can drive it, but they can program it using Nvidia's Drive PX 2 platform. It’s impossible to discuss racing without discussing crashing, though. When the question came up, Sverdlov danced around the answer. He mentioned, however, that the cars will have vehicle-to-vehicle communication, which implies they probably won’t hit each other. It’s still weird to consider that crashes aren’t necessarily an issue with autonomous cars. It’s impossible to know whether Roborace will have to decelerate its plans as well, but the company has the advantage of starting from scratch, without the burden of legacy that the major automakers have. Many, many questions remain about Roborace’s car and autonomous driving in general. We’ve all been burned by bad software, so the thought of regular car upgrades isn’t necessarily reassuring. If nothing else, however, Roborace’s car could be the best ambassador yet for autonomous driving, making it more intriguing than dubious.